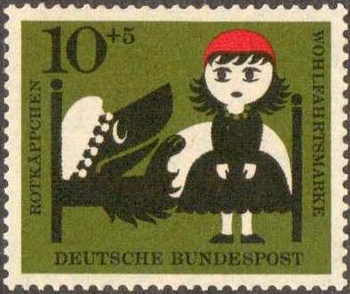 In Stamps > German Stamps > Show & Tell. 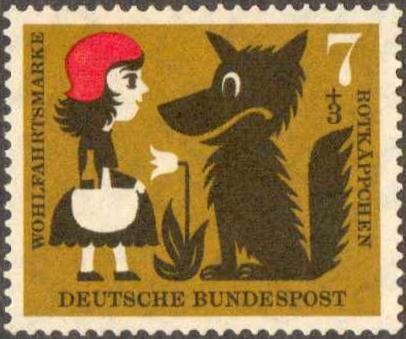 This is a 1960 series of semi-postal stamps issued in West Germany representing scenes from the child's story of "Little Red Riding Hood". 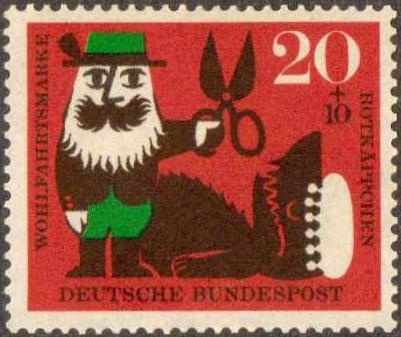 - (Semi-postals) are postage values with surcharges added for cultural donation and are denoted by a "B" # in the Scott Catalogs.